FibreFit contains exudates of Gum Acacia Senegal and Acacia Seyal trees of the Savanna that are about 85% (by weight) soluble fibre. 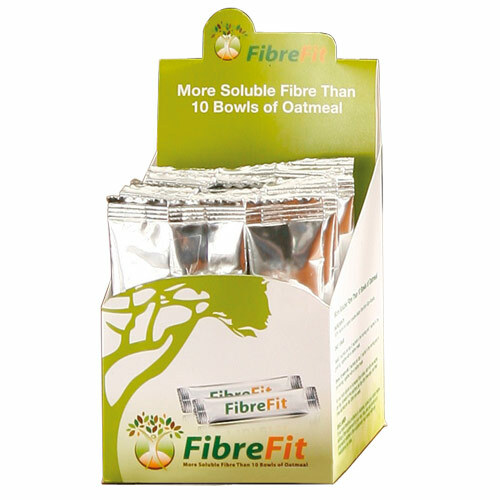 FibreFit provides you the soluble fibre your body needs daily. FibreFit is 100% natural, organic soluble dietary fibre that has no added sugar, artificial sweetener, colours, flavours or any additive. Besides being high in soluble fibre, FibreFit is high in calcium that helps to support development of strong bones and teeth. FibreFit is made from Gum Acacia, a natural plant source that is rich in prebiotics. Prebiotics are responsible for stimulating growth and activity of beneficial bacteria within the intestinal flora. This is crucial for overall pH balance and maintaining a healthy digestive system. Is a Bowl of Oatmeal Enough? It is well known that whole grains are an important part of a healthy diet. Research shows that the special type of soluble fibre, called beta-glucan, which comes from whole grains like oats, oat bran and oatmeal, helps lower elevated blood cholesterol levels and stabilise blood sugar level. For your health, a new study and accompanying editorial published in the American Journal of Clinical Nutrition, recommends at least three servings of whole grains should be eaten daily. Adding more fibre to your diet by increasing the amount you eat each day does not have to be difficult, or bland tasting. FibreFit can be your best answer by introducing the soluble fibre you need into your diet easily by adding it to the food you already eat. 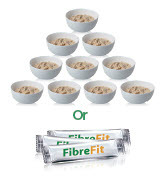 To be sure you receive your recommended daily intake of soluble fibre, you can eat ten bowls of oatmeal… or simply take three sachets of FibreFit. There are two types of dietary fibre that are important for good health. Soluble fibre. This type of fibre dissolves in water to form a gel-like material. There is some evidence that soluble fibre may lessen heart disease risks by reducing the absorption of cholesterol into the bloodstream. You can find a percentage of soluble fibre in whole oats, peas, beans, apples, citrus fruits, carrots, barley and psyllium. Insoluble fibre. This type of fibre promotes the movement of material through your digestive system and increases stool bulk, so it can be of benefit to those who struggle with constipation or irregular stools. Whole-wheat flour, wheat bran, nuts and many vegetables are good sources of insoluble fibre. Dietary fibre comes from the portion of plants that is not digested by enzymes in the intestinal tract. The soluble part of it, however, may be metabolised by bacteria in the lower gut. Dietary fibre, found mainly in fruits, vegetables, whole grains and legumes, is essential for good digestive health and also has a number of other known health benefits such as lowering your risk of diabetes and heart disease. 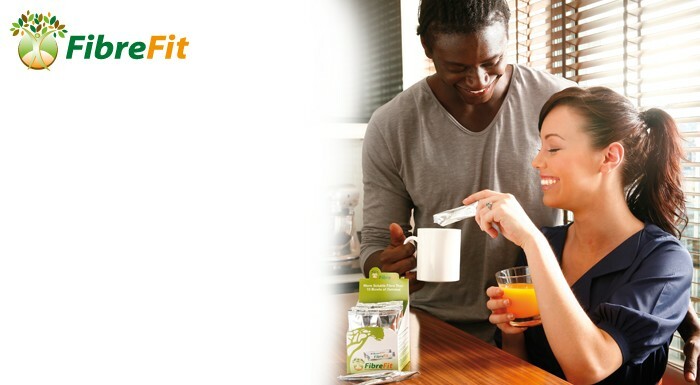 • FibreFit dissolves faster in warm liquids and is also soluble in cold water, fresh citrus juices, coffee, and milk. • FibreFit is highly heat resistant, which makes it suitable for pastry, confectionary, etc. It is also resistant to yeast fermentation, therefore it is able to be used for baking breads, cakes, etc. It keeps its nutritional properties intact during the process and throughout its shelf life. • To be sure FibreFit fully dissolves, add 1 or 2 sachets into your drink while stirring briskly. • To retain the integrity of this product, store in a cool dry place and see side of pack for expiry date. • FibreFit is tasteless, odourless and does not thicken. FibreFit can be easily introduced into a variety of foods, without any texture or taste modification in the finished product. Simply sprinkle FibreFit on your meal to increase your fibre intake.